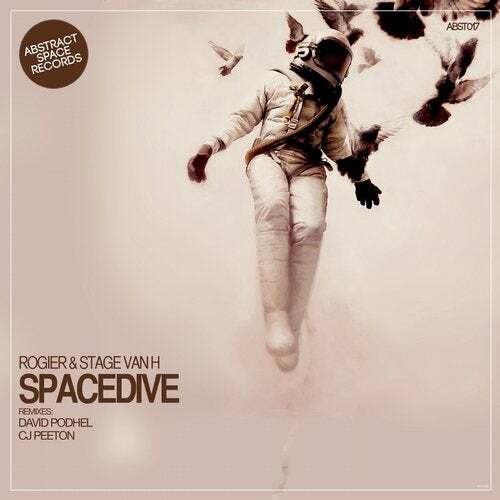 Abstract Space Records welcomes back Rogier and Stage Van H for it's 17th release, "Spacedive". After their successful release of "Morning Call", we are proud to have them back with another amazing original. "Spacedrive" is a very appropriately named tune. It starts off slow and builds atmosphere with determination. There are many elements involved here maintaining freshness that keep the listener glued to the speakers. Sit back and take it all in... Providing us with excellent complementing remixes are Cj Peeton and David Podhel. First, we welcome the accomplished CJ Peeton to the label. With an impressive array of production styles and years of experience, CJ gives us a version that stays true to the original yet feels so different. It's very dreamy with a sweet acid synth breakdown. Next up, welcome Edgar Delgado a.k.a. David Podhel to the label. Again staying true to the original, David brings his developed sound to the track making it his own. He keeps it deep yet increases the energy slightly by rolling out the bass line a bit more and adding rich sounds.